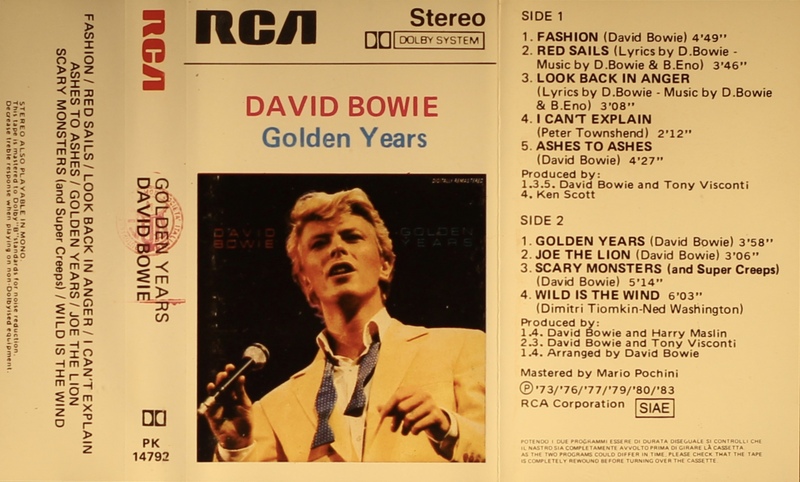 Golden Years: Italy; RCA, PK 14792; 1983. White bordered front cover with white tab top; spine, rear and inner panels. Track list on rear and inner panels. The cover is treated and folded card and the rear is blank. SIAE rights on inner panel. Black ink printed on red label onto white shell with hollow black RCA. Manufactured and distributed by RCA SPA Rome. The cassette has an identical label on a different shell than the EU (Italian) release. 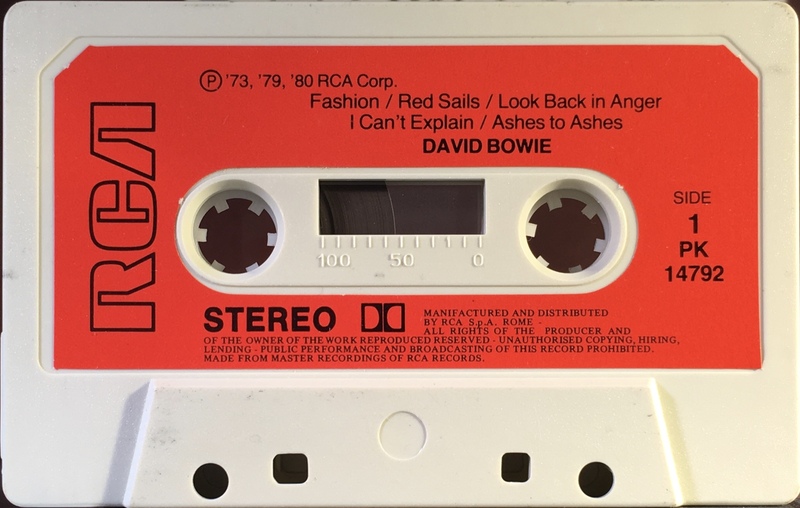 Side 1: Fashion; Red Sails; Look Back In Anger; I Can’t Explain; Ashes To Ashes. 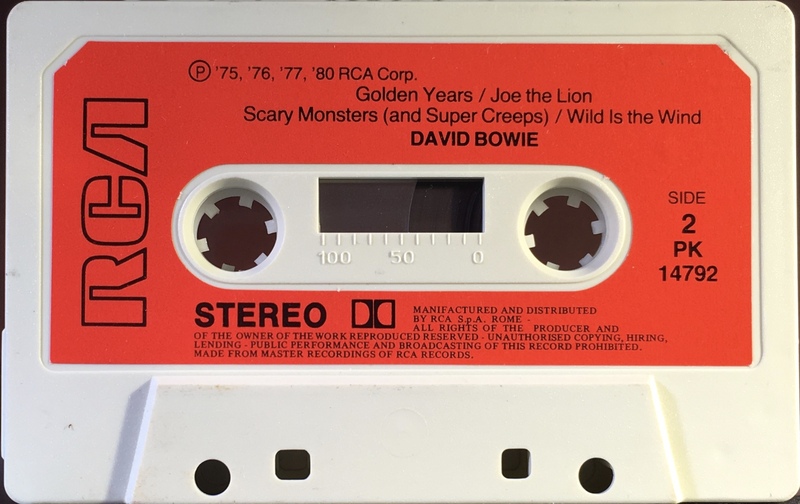 Side 2: Golden Years; Joe The Lion; Scary Monsters (and super creeps); Wild Is The Wind.